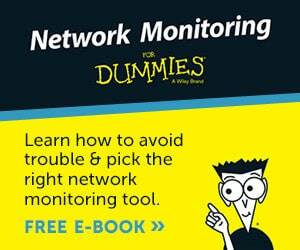 Linux Network Monitor Software & Tools for Managing & Monitoring Unix/Linux Systems! Finding a Linux Network Monitor tool or Software package for your Critical servers and services that are running on those systems in one of the most (if not the most) important things you should have on your to-do list. 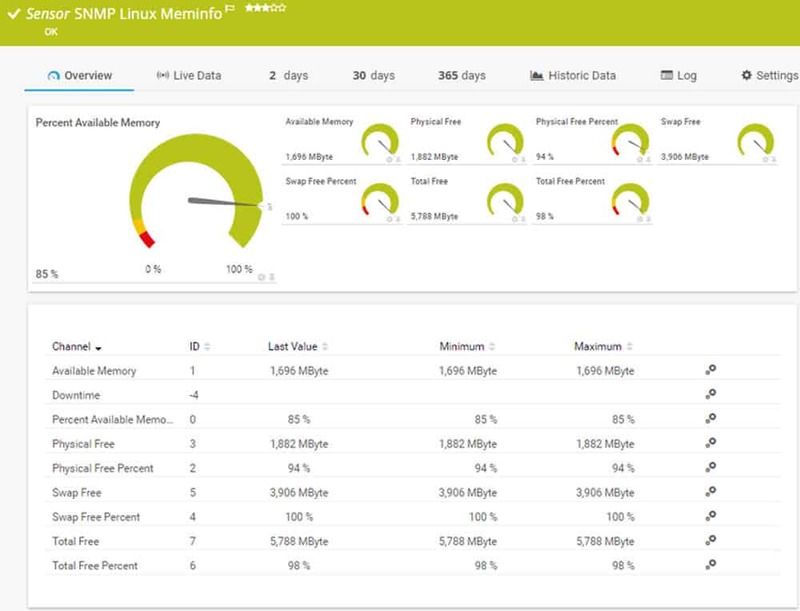 With the ever growing need for high performance Linux systems in our every day network infrastructures, monitoring their network connections has become a priority for many of us network admins. 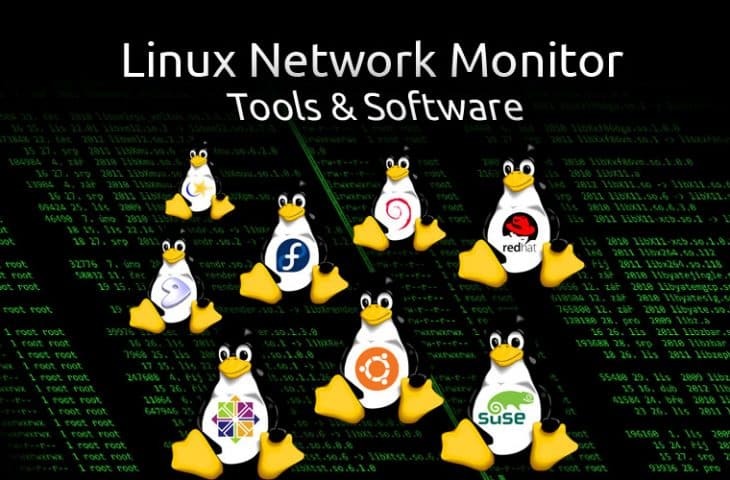 Below your find a list of the Top Linux Network Monitor Tools & Software we've compiled that will assist you in getting your linux systems monitored and managed fairly quickly. Some of these packages have other capabilities and options, such as monitoring Windows based servers as well as your Routers and Firewall devices. Click on their Official sites to read more about them. 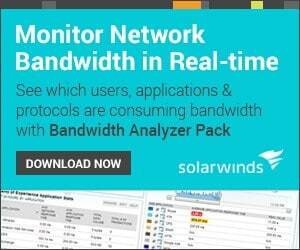 SolarWinds creates a suite of complete network monitoring and management software. 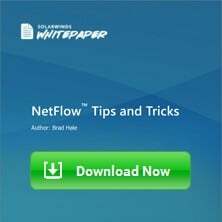 Among their products, NetFlow is one of the most popular. 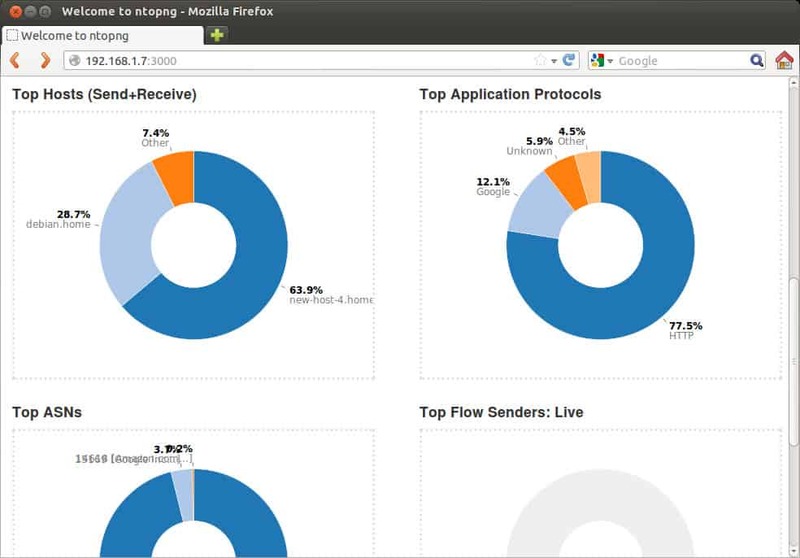 Netflow Traffic Analyzer (NTA) is a complete traffic diagnostic and bandwidth monitoring software. 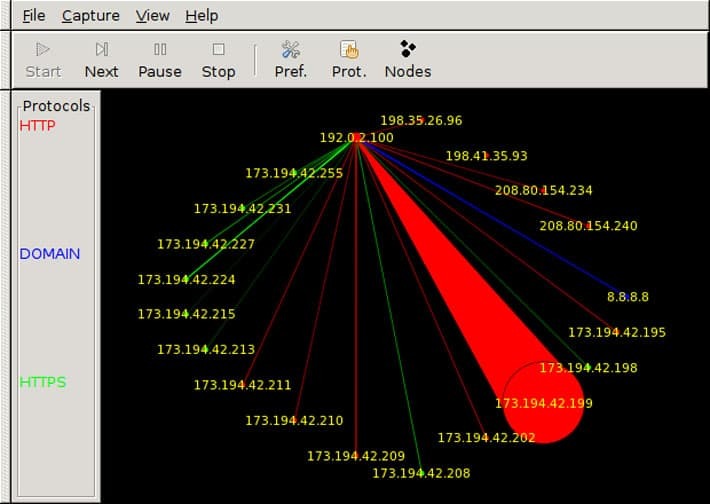 The tool allows you to monitor your Linux-based network, find new traffic patterns and avoid bandwidth hogs using NTA with a User Device Tracker. The best thing about this tool is that it can analyze your network in real-time down to the interface level. 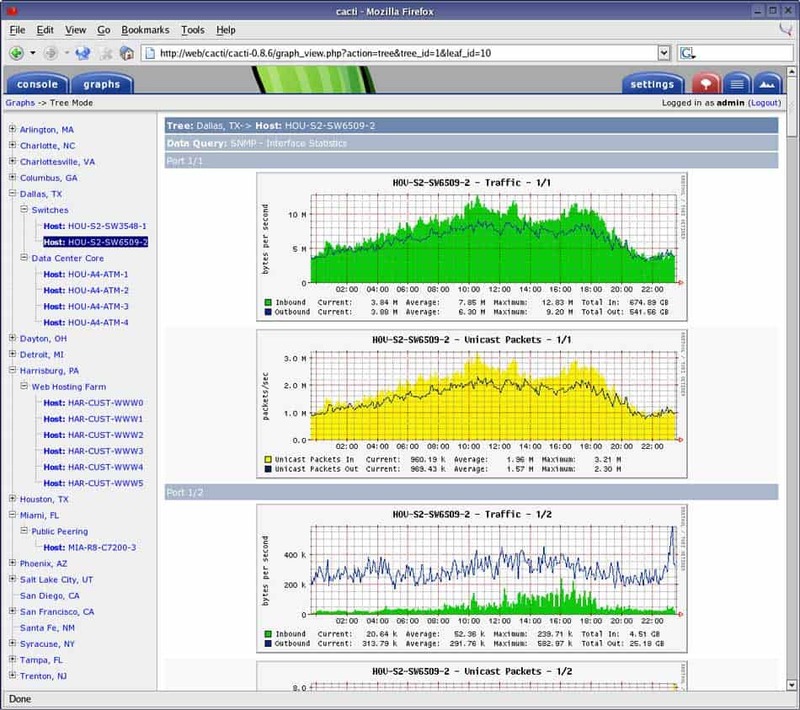 PRTG (Paessler Router Traffic Grapher) creates innovative and easy-to-use network and bandwidth monitoring software. PRTG Network Monitor can manage Linux-based networks in a secure and efficient way. The PRTG dashboard displays an overview of the status of your Linux network. It also shows the performance, hard drives, memory and NTP. With PRTG, you can define threshold values for certain parameters such as bandwidth, and set automatic notifications when those values are exceeded. 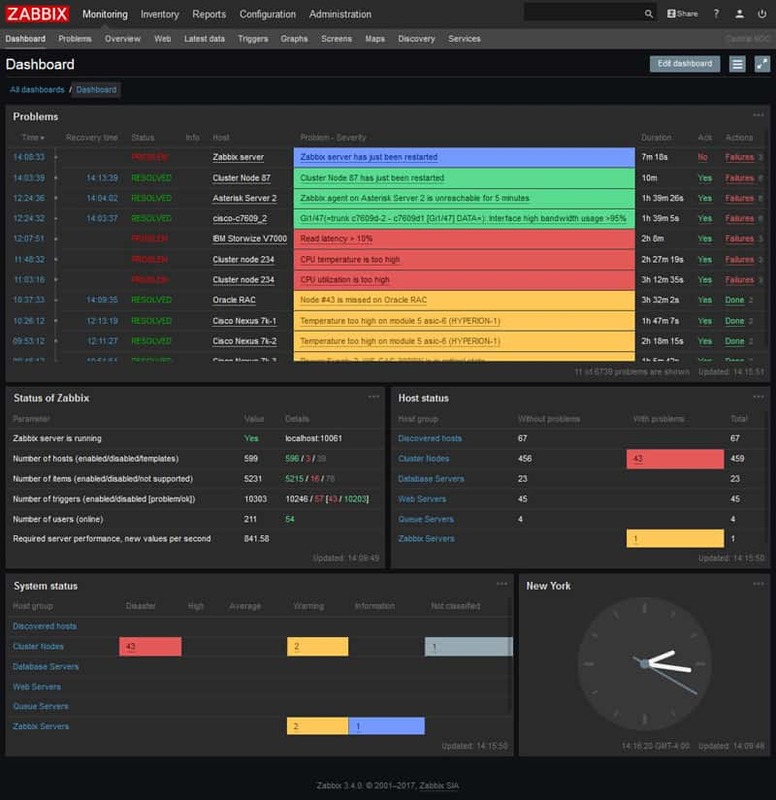 Zabbix is an enterprise-type open source advanced network and application monitoring solution that handles millions of different metrics. It can be used in your Linux servers, network devices, and network services. Zabbix is commonly known for being easy to install, configure and use. This tool is based on a server-agent system; You install the agent on a client and this is monitored by the Zabbix Server. All the data is gathered by the Zabbix agent running on the host and sent over to the server, where it is stored in a relational database. Nagios is a 100% free and open source tool used for monitoring infrastructure, networks, and systems. When monitoring elements, Nagios Core can schedule events, process the events, and alert when a certain threshold is reached. 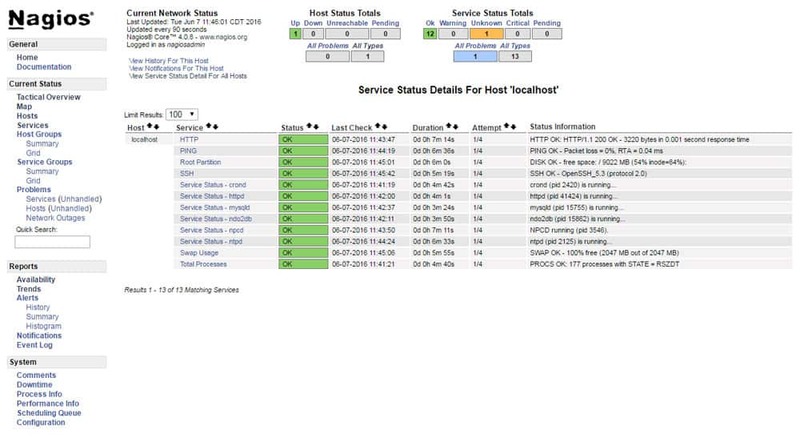 When comparing with other monitoring tools, Nagios Core has been designed especially for flexibility and scalability. The provided APIs allow easy expandability through the use of additional add-ons and plug-ins. Another benefit is that Nagios Core also offers forum support for free. OpenNMS is a free and open source network management system that monitors Linux servers, applications, and services. The tool is useful when initially installed but it can be highly customized to work in different network environments. As soon as a new device enters the network, the auto-discovery function will add it to the management system. OpenNMS can be configured to raise alarms and/or notify its users through emails, SMS, or XMPP when an event occurs. It is a free and open-source basic network monitoring software especially for small to medium businesses. The software can be used to manage up to 500 devices through its web interface. The administrator can monitor the network’s availability, configuration, inventory, performance, and events. When initially setting up the tool, or when bringing a new device into the network, Zenoss Core has the ability to auto-discover the new element including (device, server, OS, configuration, application, and process), and update the inventory accordingly. A comprehensive open-source network graphing and web-based monitoring tool, designed to be the front-end application for data storage tool, RDDTool. Among the most important features of Cacti, are its adjustable fast poller and the graph of the resulting data based on templates. The user interface makes it easy to manage small-medium and large networks. Cacti is commonly used to graph metrics that are based on time, like network utilization and CPU load. 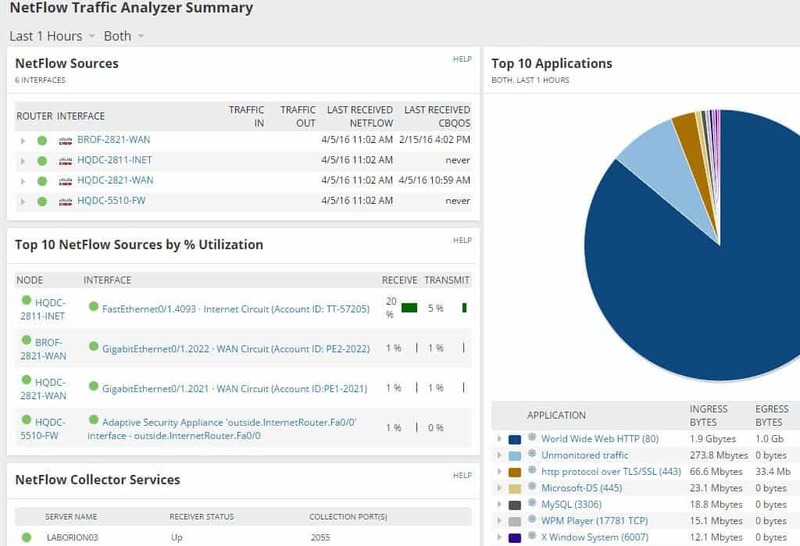 It is an open source, high-speed web-based traffic analyzer, and security monitoring software. ntopng is the next generation version of ntop (from 1998), now renovated with higher performance, more usability and better features. This tool allows deep browsing of the historic and real-time traffic information from its encrypted web user interface. ntopng is a top player for traffic analysis because it can allow you sort out traffic according to different criteria, such as IP, Port, Layer 7 protocol, bandwidth and traffic Throughput, and AS (Autonomous System), among many other features. Htop is a project by Hisham Muhammad. It is an interactive process viewer and manager for Unix systems. Htop was designed to be an alternative for the UNIX program top (Table of Process Tool). Htop is a more advanced process tracking Linux tool than “top”, because it is more complete, interactive and in real-time. This tool has an easy to use UI for managing processes, vertical and horizontal viewing of processes, shortcut keys, etc. It is an interactive Linux bandwidth monitor which gives you access to real-time statistics on the utilization of the network. The tool is not graphical; it works through a console app with a CLI. 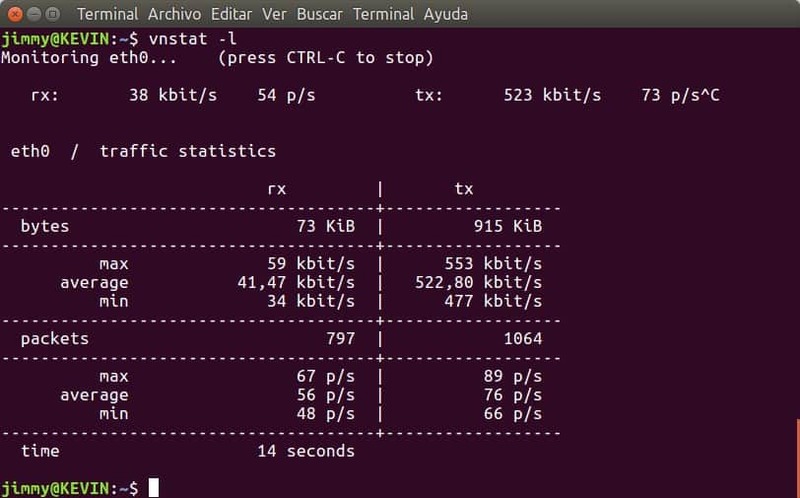 It is commonly used to view received, sent and the total bandwidth of each network interface in a Linux system, in KBps or Kbps. It can also determine and show the added value of all the interfaces. 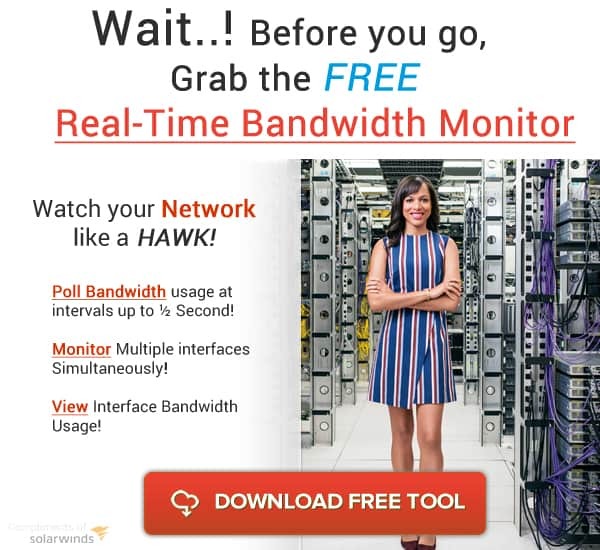 Bandwidth Monitor NG (Next Generation) is an upgrade of the old “bwm” which was too simple and had many problems with modern and fast interfaces. Bwm-ng is basically an easy-to-use network bandwidth and Disk I/O monitoring console with real-time network and disk information for Linux (and other UNIX distributions). This tool is pretty straightforward; the installation is a 2-minute process and the CLI very easy to use. 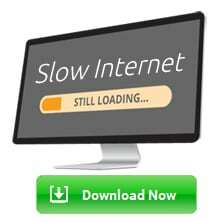 You can display the output information in KBps, MBps, packets, errors, avg, max and total sum. It is a monitoring tool for overseeing network, memory, utilization and processing performance of a Linux system. Dstat is an adjustable metrics tool. It basically combines the power of traditional Linux system components, vmstat, iostat, netstat, and ifstat. Dstat overcomes the weaknesses of all these components and improves the performance with more metric counters and flexibility (with external plugins). An improvement is that this tool can allow you to view the resources in real-time. It is a free and open source network monitoring tool which periodically checks services and system resources and uses its web interface to display the data in graphs. With Monitorix you can check overall system performance, find traffic bottlenecks, and flow failures. The tool is ultra-light so it can be used in embedded devices to monitor as many system resources as it can. It is an open source and simple CLI network monitoring tool that provides statistics of Linux systems. With IPTraf you can oversee inbound and outbound connections of traffic passing through a network interface. IPTraf works by gathering interface information and showing the detailed statistics of IP, TCP, UDP, packet size, counts, and IP checksum errors. You can also monitor other information such as ICMP details and OSPF packet types. It is an open source CLI Linux/BSD utility used to monitor and store network statistics. vnStat can monitor traffic and keep logs of a specific interface. The tool is popular because it is ultra-light and consumes light resources to run. It is also easy to install and use. VnStat can monitor many interfaces at the same time and collect statistics accordingly. There are multiple output options, like summary, time-based, or image. It is a free and open source CLI monitoring UNIX tool that generates an updated list of the network interfaces and its connections. Iftop listens to traffic on an interface (or all interfaces) and displays the bandwidth usage on each one. To run iftop you require libpcap, libcurses, and sufficient permissions. You can create filters to show determined output information. For example, Iftop by default will display Hostname information on all packets, but you can remove DNS information by creating a filter code. It is a free and open source graphical network monitoring software developed especially for UNIX systems. It graphically displays layer 2, 3 and 4 (Data Link, IP, and TCP/UDP) activity. In the graphical interface, each host is represented by a node and the connections by links. The different types of traffic on a network are generated by different protocols so EtherApe color codes each node and links differently according to the protocol. The nodes and links grow and shrink dynamically to represent an increase or decrease in the traffic volume. It is an open source high-performance logging and graphing tool, used for time series data, like network bandwidth and CPU load. RRDTool stands for “Round-Robin Database Tool”, because it stores the data in a circular buffer, making it a very efficient storage system. The data logged by RRDTool can be extracted and displayed in a graphical layout. The tool can be integrated into shell scripts applications running with ruby, perl, python, tcl, lua and PHP. Whew – That was a ton of tools to go through – we hope you find a good Linux Network Monitoring Tool/Software that suits your needs. There's quite a Few of them and I'm sure we've missed some. If you have any other suggestions, please feel free to send us an email and we'll be sure to add it to the list! 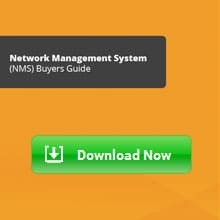 If your looking for a fully supported, paid solution that not only monitors Linux Network Traffic, we suggest your Download Solarwinds NPM or PRTG by Paessler – They are both extremely well known in the community have a strong reputation for having great products. If you don't mind getting your hands dirty, then give Nagios Core, Zabbix or OpenNMS a try for an open source solution.